Kids are addicted to ice cream and if you give them the chance to make their own they will jump right at it. The technology to make ice cream from home these days is absolutely amazing but there's something quite special about being able to make a delicious no-churn ice cream the old fashion way. 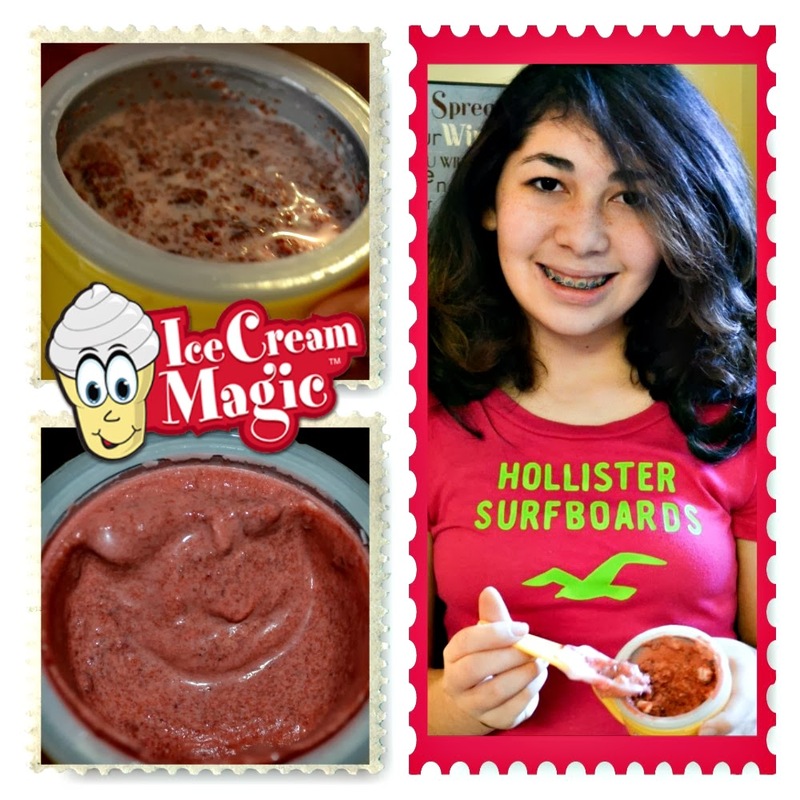 Ice Cream Magic is the first, personal Ice Cream Maker for all ages! Moms can control the ingredients, from heavy cream to low fat cream, flavors – while the bowl size is the perfect size to keep portions in control. All you do to make it, is shake it! And in just 3 minutes, your kids can enjoy the soft ice cream they made themselves. Add sprinkles, fruits, any topping to make a perfectly fun treat that’s fun to make and eat with this great year-round snack-tivity! The Ice Cream Magic kit comes with an outer cone, a freezing bowl, a lid, and a swirl cap. There’s even a little measuring scoop and Recipe Guide. 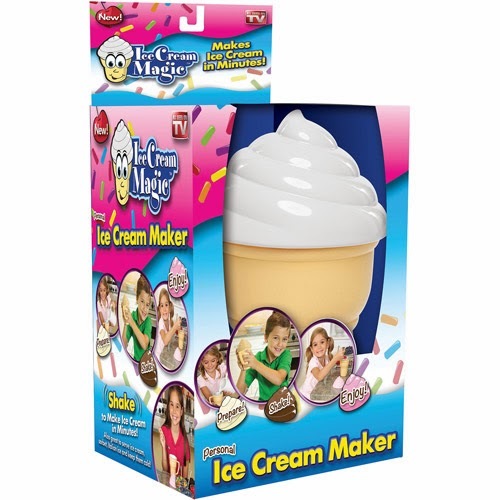 Fun anytime, it also makes a great Birthday Party activity and a memorable favor that guests can take home. Don’t feel like making your own? 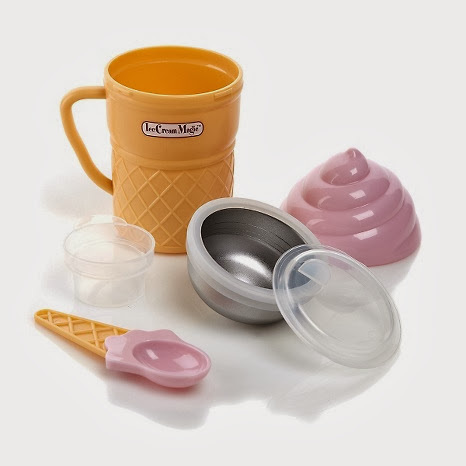 Ice Cream Magic makes an adorable and convenient serving dish for any ready-made ice cream, too. Available in Chocolate, Vanilla, and Strawberry swirl caps, Ice Cream Magic is $9.99 each and at fine retailers everywhere. For ages 4 and up. 1. Make sure you leave the Ice Cream Maker (all components and not just the freezing bowl) in your fridge at least 24hr before using. 2. Use crushed ice instead of cubes. 3. Add any type of cookie. This will make the ice cream get thick and not watery. 4. Shake for one extra minute if you don't like the consistency. 5. You can always refrigerate for 20 minutes to let the ice cream reach your desired consistency. Disclosure: I received a sample product for the purpose of this review. I was not compensated for this post. All opinions expressed are 100% my own.